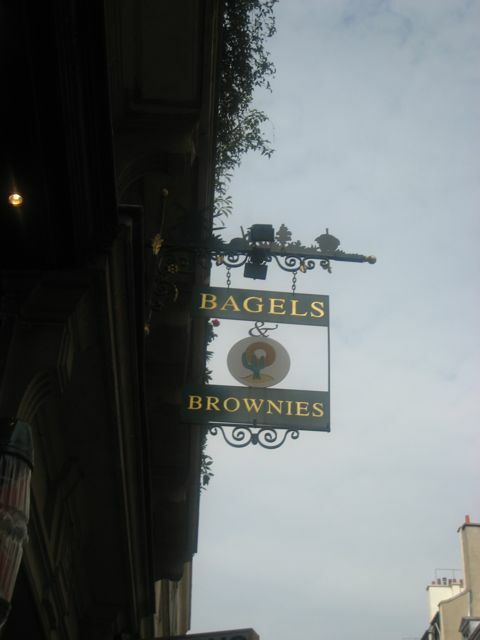 As a change of lunch scenery, venturing outside school ended up as a good idea with a visit to a little shop called Bagels and Brownies. 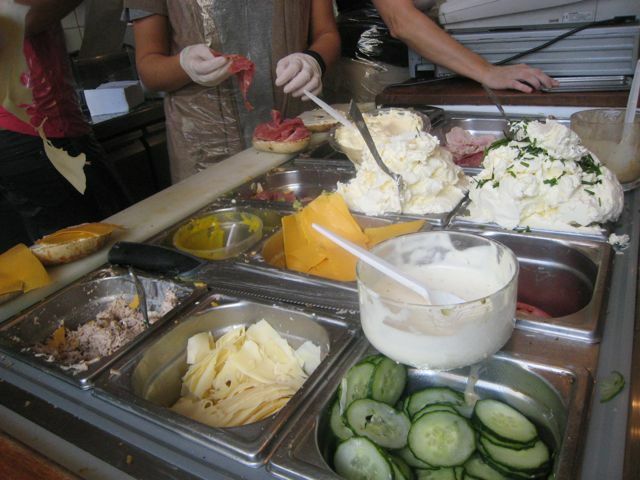 The small shop had a queue of students outside…No wonder, they served an array of bagels of your choice (plain, sesame, onion, cheese, blueberry among many others) and a multitude of toppings including smoked salmon, roast beef, ham, cheeses – cream, emmental, cheddar. 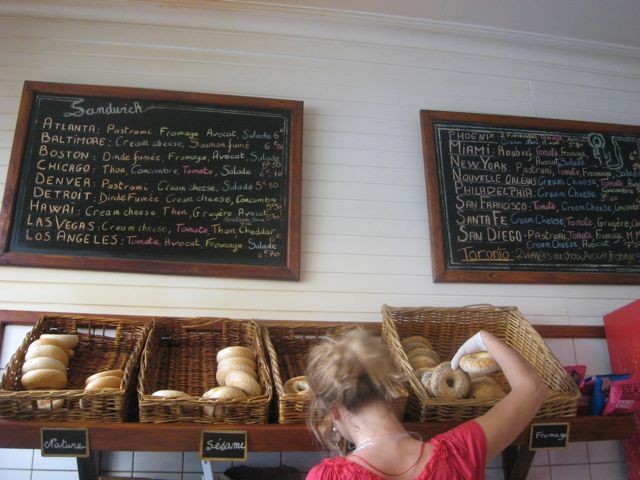 The bagel is then wrapped in parchment paper and handed over to you so you could enjoy it on the run; unfortunately no seating is given inside. 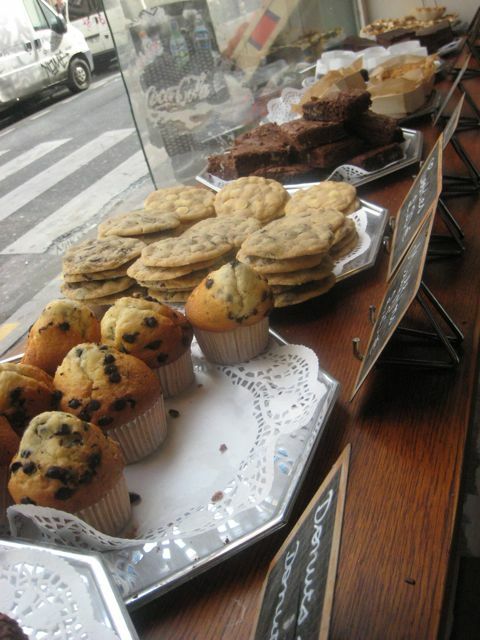 But they don’t stop there, they also have lots of sweets from chocolate chip cookies, brownies, donuts both with chocolate or sugar coated and pecan pie! Made me miss New York so much! 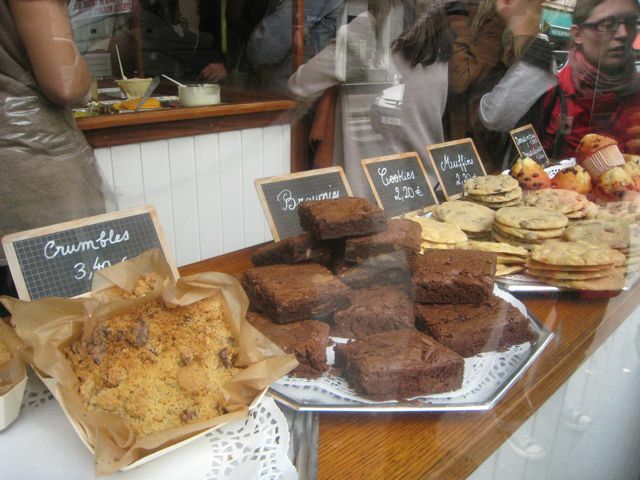 This spot is must be visited especially from a break of shopping on the Rue de Rennes! 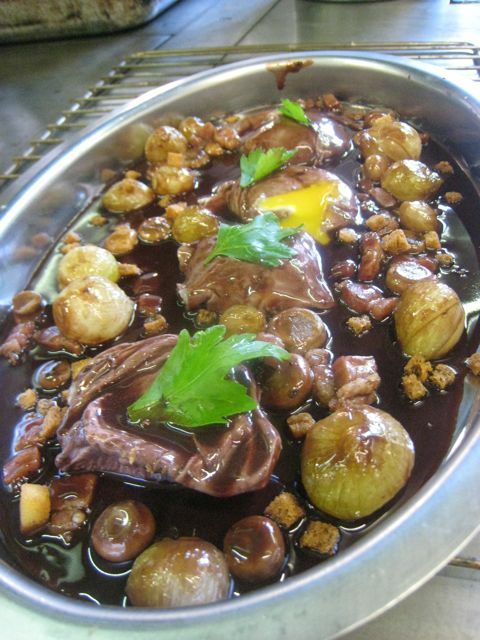 In the afternoon, it was back to the kitchen to cook up Oeufs pochés Bourguignon which is poached eggs (2-3 minutes) in red wine which is then reduced and then topped with caramelized onions, lardons (thinly sliced bacon), and mushrooms. The eggs came out purple due to the wine, but you really have to have good red wine so that it doesn’t taste too bitter. It’s actually a cool concept especially when the eggs yolks give a contrast of color to the red wine. 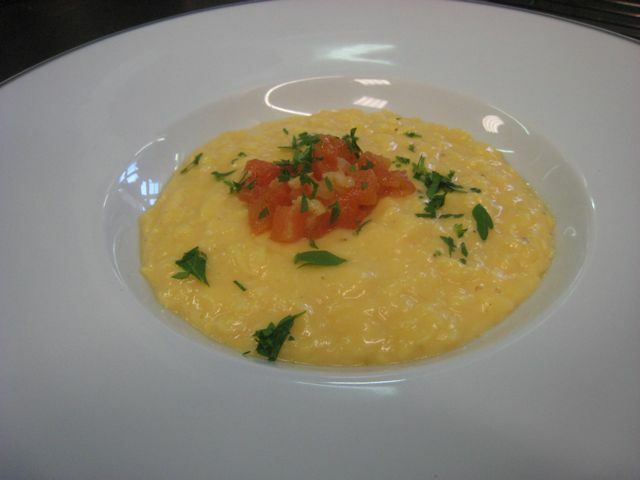 à la Portugaise – scrambled eggs (no milk, just cubes of butter) slowly cooked up but served creamy and not fully cooked, topped with slowly cooked tomatoes with shallots, garlic, and chopped parsley. I liked the eggs as they were creamy and nice and soft but I’m sure in the States or Hong Kong, if these eggs were served, they would probably be seen as undercooked. 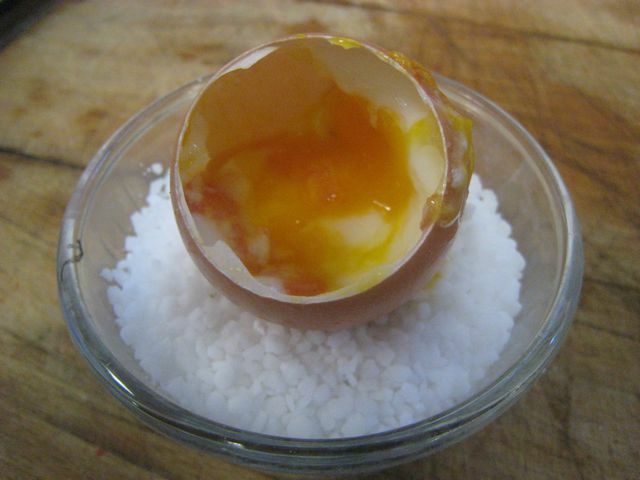 Oeufs toqués. 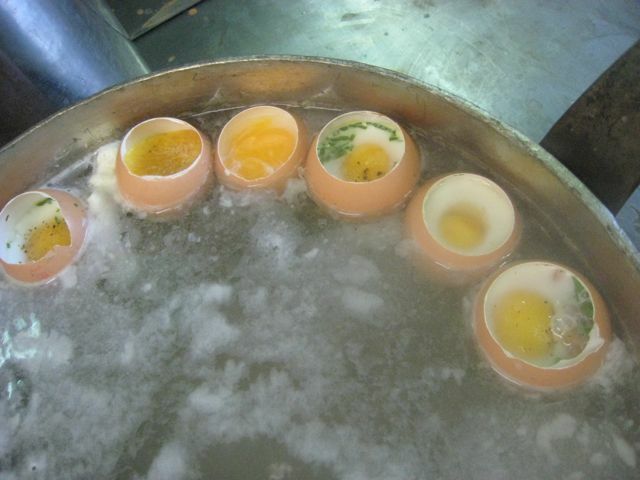 Basically we used a spring to crack the bottom of the egg, reserved the inside in a cup, added some sort of garnish (diced tomatoes, parsley, etc…), poured back the egg 3/4 full and in boiling water, boil it until you see the white of the egg. But how does the egg not sink? It’s Magic! It actually floats, and does not sink! Season it with salt and pepper and it can then be served as an amuse-bouche or even an entrée. ← It’s just eggs rights?